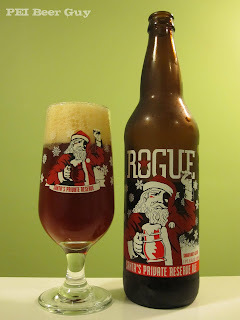 With a matching glass in a wooden box with matching burned-in logo, is this Christmas offering from Rogue - a red ale, natch. The beer is amber in the pour, blood-orange red in the glass, with a golden head. It leaves sticky lacing and a big lumpy puck of bubbles on the top. The head is lumpy and long-lasting. In the nose are nice, bright hops (mostly grapefruit, with something like oranges or something I can't quite pin), toffee, & candy. The flavour is not quite as bright and enticing as the aroma. The bitterness is up front, and the flavours don't really pierce through it. The hops are a bit too spicy / grassy / peppery. It's OK... I just wanted something more citrus-y - personal taste, I guess. I think it should be brighter (oranges would suit), or have some more candy / toffee... it is Santa's beer, right? The finish is sticky and bitter. The body is medium, and the carb's just right. Enjoyable. Good. But not very great or even very good. A red ale more like Bear Republic's Red Rocket would be more inline with what I'd want here. Fantastic package, though. I agree with your review. 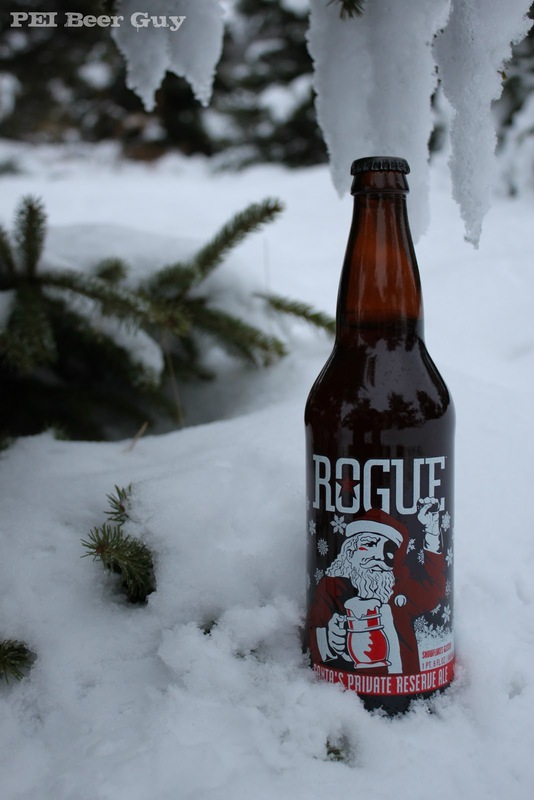 I feel that Rogue Ales are a little overrated. Dead Guy is available in Toronto and I wasn't head over heels with it. Neither was I... they're pretty solid overall, though. Brutal Bitter, Hazelnut Brown Nectar, Mocha Porter, Shakespeare Oatmeal Stout... all good.